My ideal vacation starts with stopping for drinks before lunch. And that’s what we did one day as we walked towards Cochon. We passed Compere Lapin and I realized it was on my list. And luckily for me, bar manager Abigail Gullo was working. I met her years ago at SoBou the last time I was in NOLA. 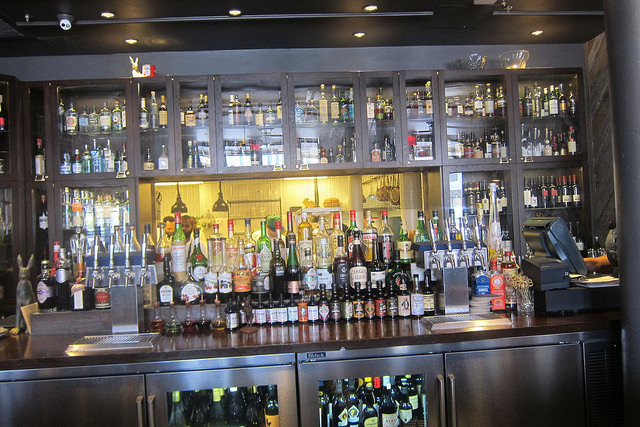 It’s a glorious back bar that peeks into the kitchen. 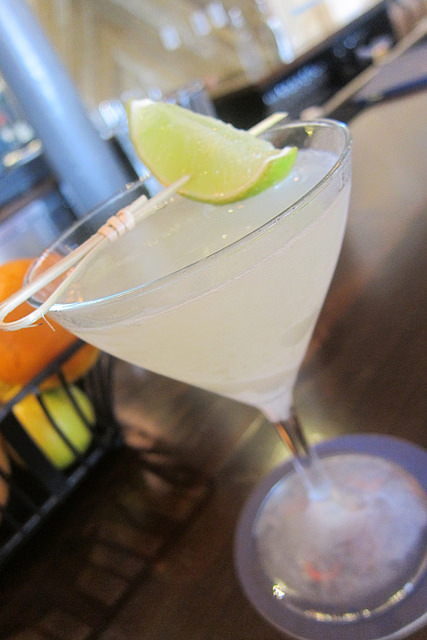 It’s the best of both worlds- watching both cooks and bartenders diligently working on your food and drinks. Since I was in New Orleans, I decided I had to have a NOLA drink. 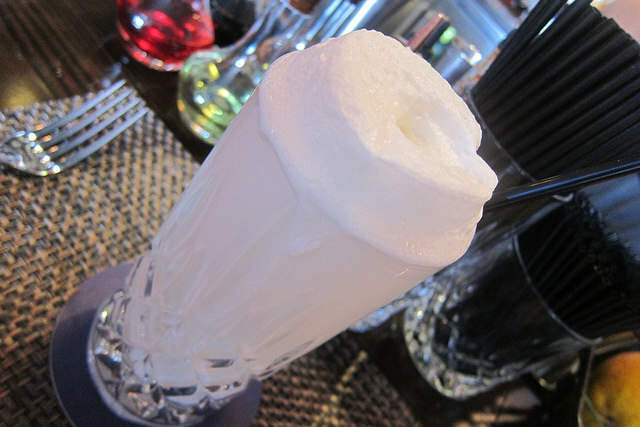 And since I rarely order them and it was day time, I figure a Ramos Gin Fizz would be a good pre-brunch cocktail. Laughing, Abby handed me the shaker after she built the drink. She wanted me to shake my own fizz. Perfect. It was fun for a barfly like myself. My friend even helped me shake it a bit. I think we did an excellent job because just look at the head on that thing! And it tasted awesome. Really, it’s the perfect morning drink. You got your booze and you got your protein. Also part of my ideal day is a food crawl so we couldn’t resist getting something to munch on. We were tempted by the avocado toast being California girls that we were but we “forced” ourselves to order something different. 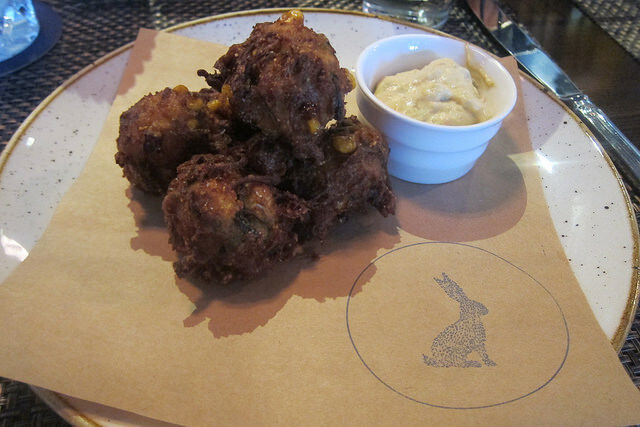 Zucchini corn fritters were the way to go with green bean remoulade. I didn’t eat much of the sauce since I’m not much of a sauce gal. I found the fritters to be quite flavorful on their own. I loved the bits of corn. My friend asked about the honey bitters and Abby made her a daiquiri with them. It was just perfect for what was shaping up to be a hot and humid day. I really wished we had more time to come back or tried more food this visit but we had to go on with the food and booze tour of NOLA!